Florensis offers a wide range of annuals from seed and cuttings as young plants from our own breeding programme. We have also selected an attractive range of annuals for the production in packs, pots, baskets and containers from the best breeders in the world. Thanks to these genetics, your customers can enjoy free-flowering plants in the garden, patio or balcony all summer long. We also offer our MixMasters range which contains a perfect combination of colours and varieties of our annuals assortment. Florensis is growing and innovating. Therefore, with the quickly developing future in mind, we have tightened up our vision. Our new corporate video, “If you want to grow”, tells the story of Florensis. Mysty is a Salvia with incredibly intensively blue, large blossoms. With its naturally compact and uniform growth, it is equally suitable as a solitaire in beds and tubs and as a constituent of combined planting arrangements in beds and balcony boxes. For the producer, the growth character is appealing economically too and offers new market opportunities in the complete chain, specially with smaller pot sizes. Mysty brings pleasure to the garden lover as a continuously flowering plant without any pruning and ensures charming touches of colour throughout the summer. It is particularly tolerant to exposed locations with a lot of sun and great heat effects. Bees are also pleased about a reliable food source over many months. 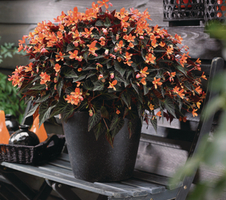 Florensis MixMasters® offer mixes in exciting colour combinations, all flowering at the same time. Grow and sell winning combinations with ease! 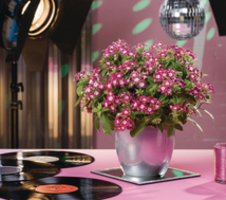 Supply MixMasters in our colourful pots and you will get the party started at retail! Florensis offers you two kinds of colour mixes which make your life easier. As a grower you can choose a mixed plug you can pot directly or you can use our assortment of mixed colour recipes and pot the individual plugs yourself. The qualitatively superior plants and the best in class colour palette make Toscana an easy and profitable program for you to produce. The early flowering varieties allow you to catch the profitable early season sales window. Toscana is proven to have the best garden performance and can be used both in patio containers and for bedding plantings. The Toscana range is known for the bright, vivid colours and unusual colour combinations. Receive the monthly Florensis newsletter with the latest news about products, innovation, inspiration and event. All flowers can be found on our website, but you can also download our catalogues.